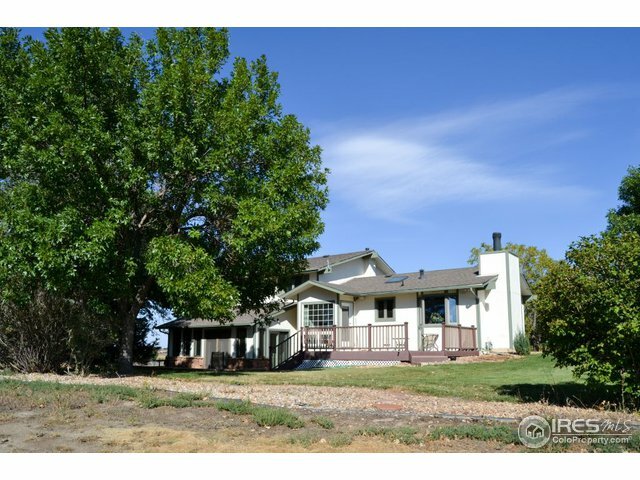 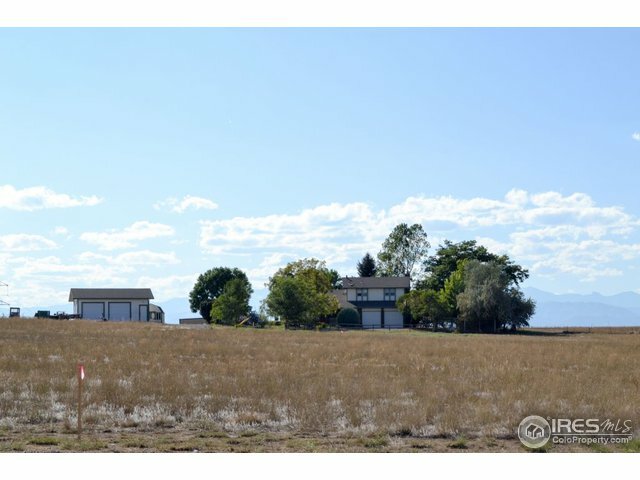 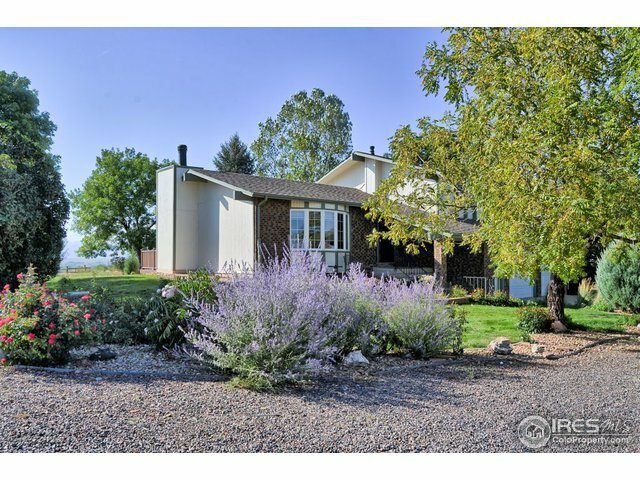 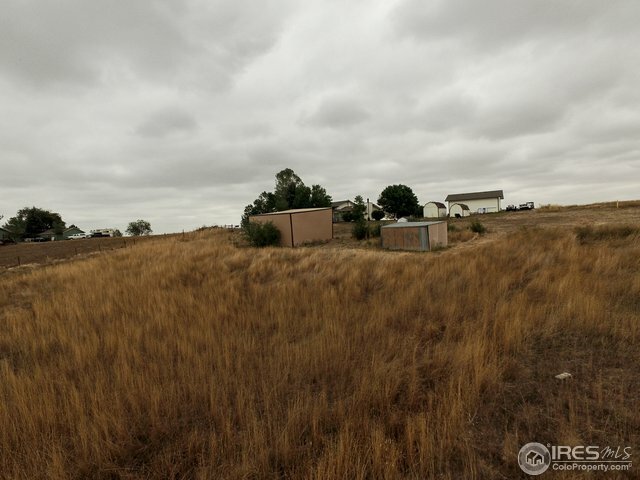 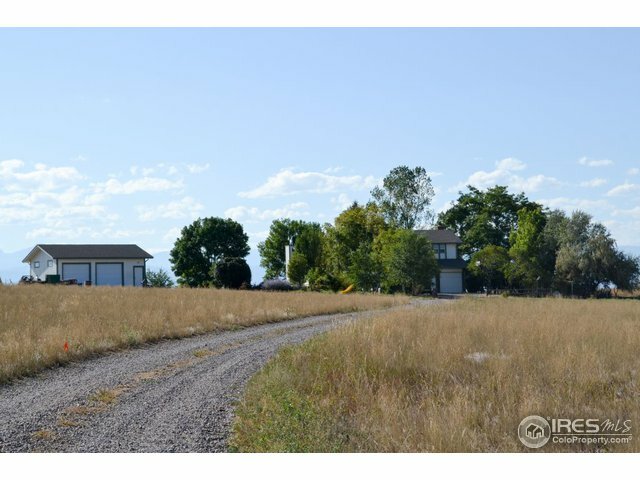 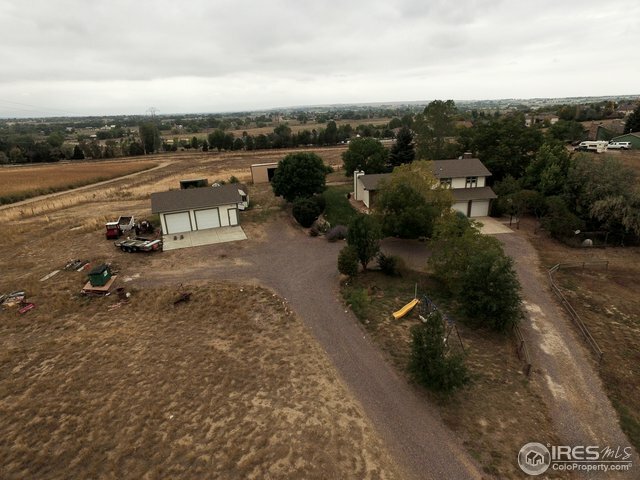 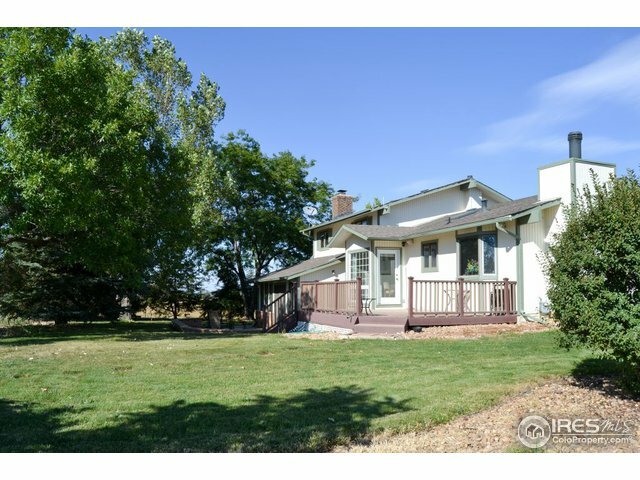 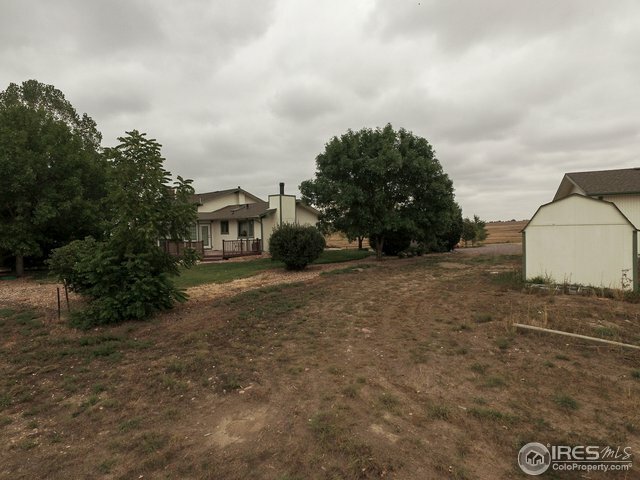 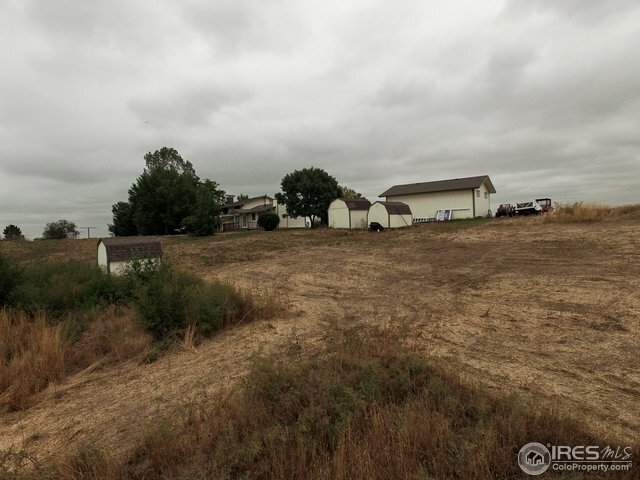 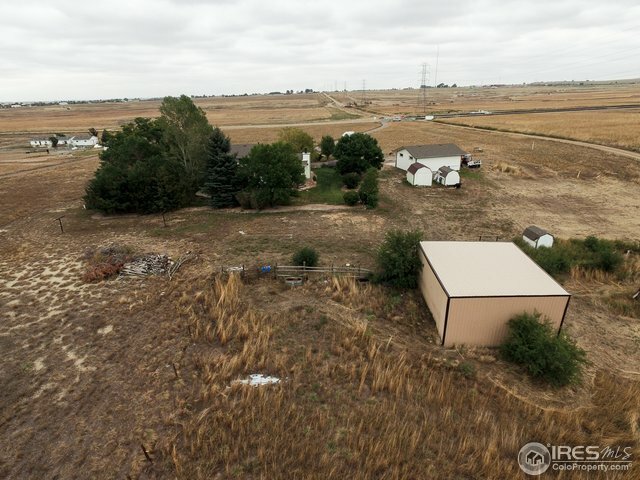 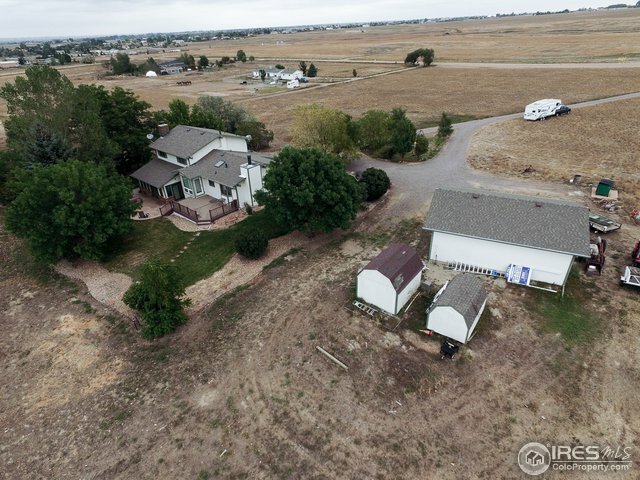 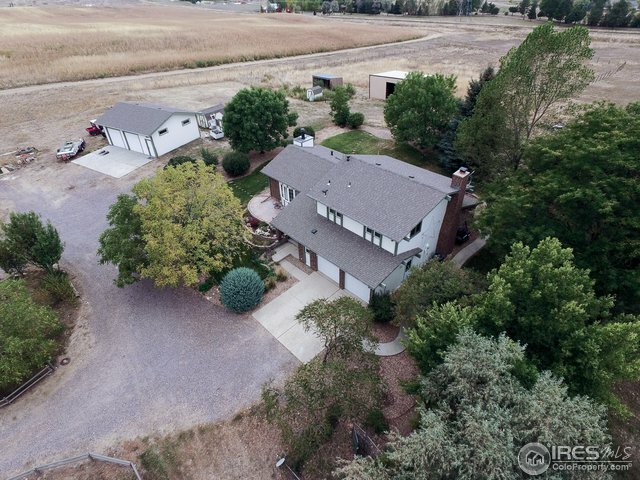 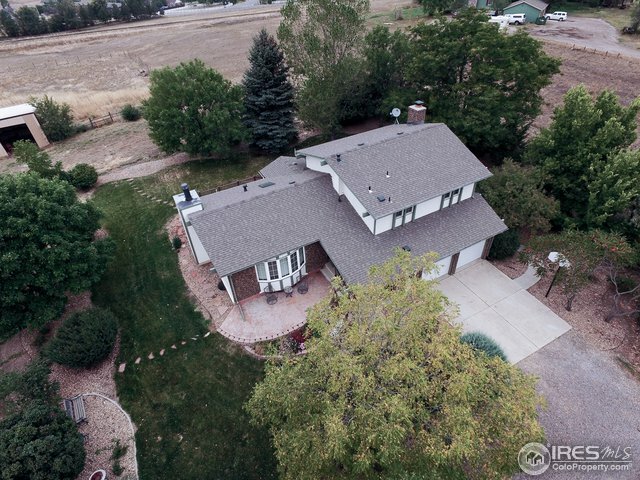 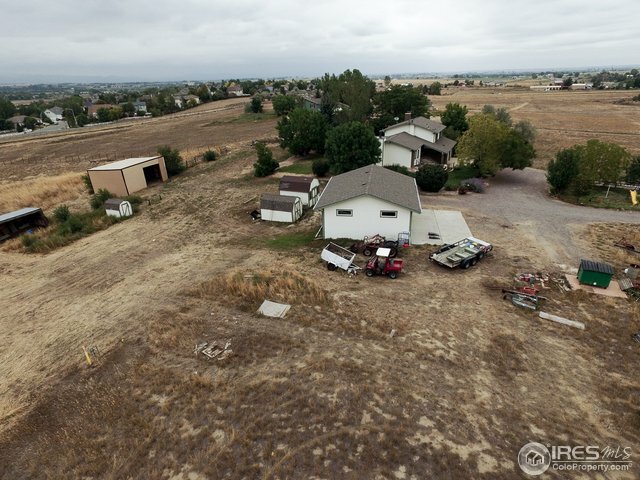 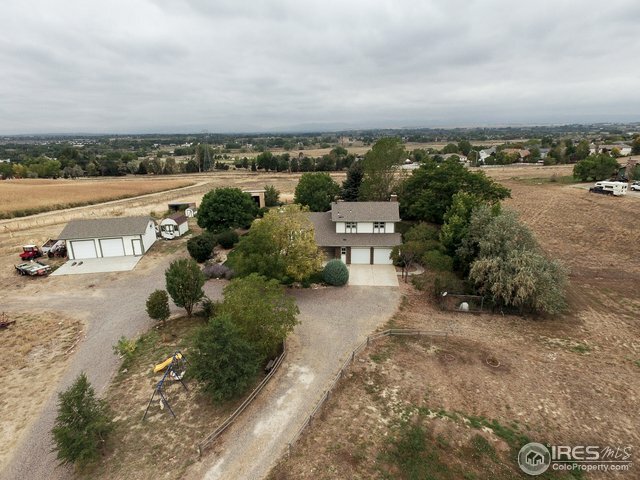 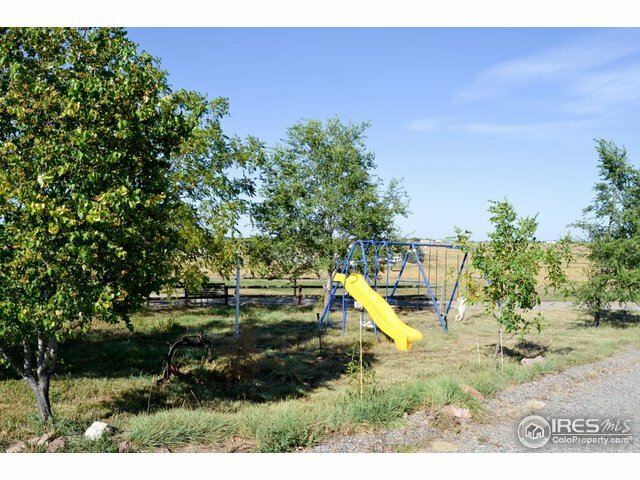 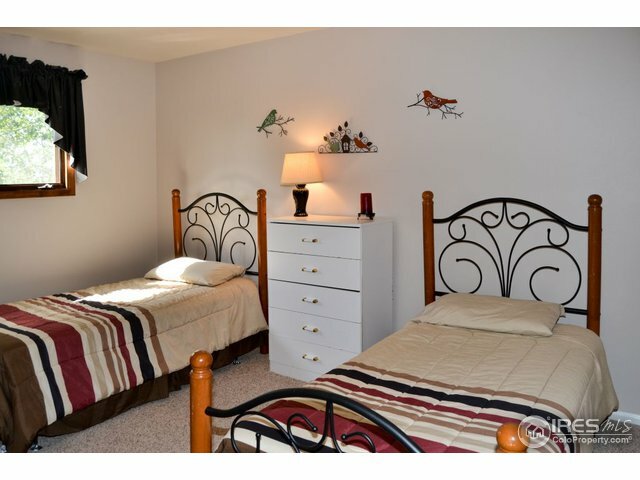 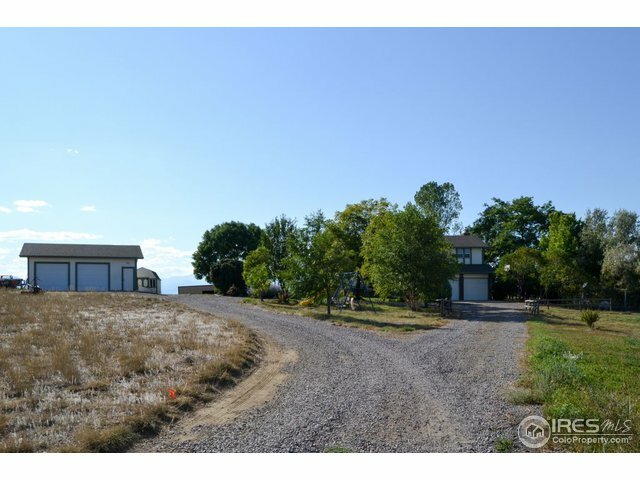 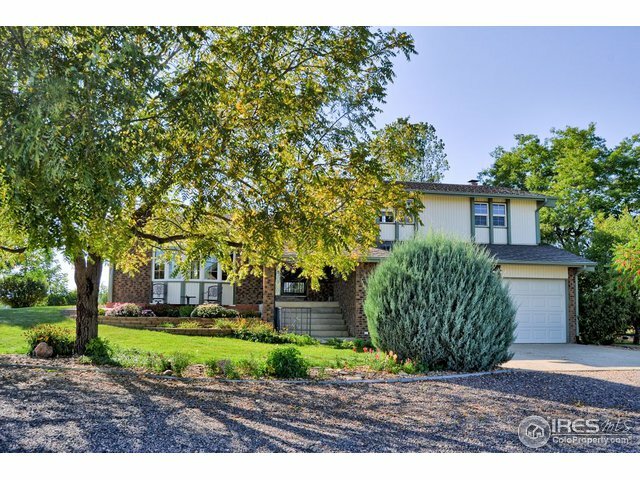 RARE acreage & AWESOME VIEWS 3 bed ranch approx. 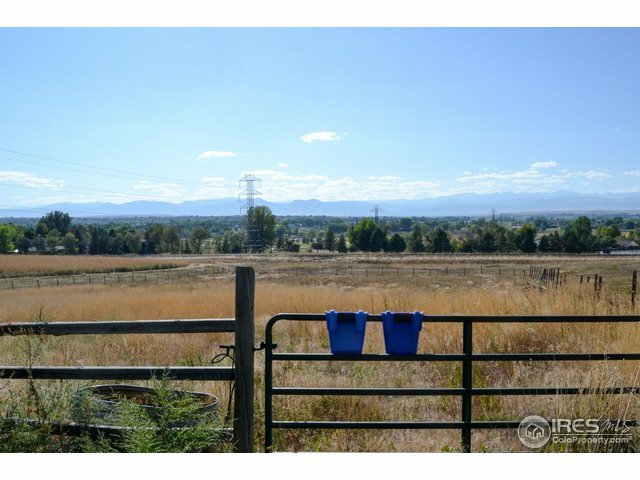 8.8 acres OUTSTANDING VIEWS! 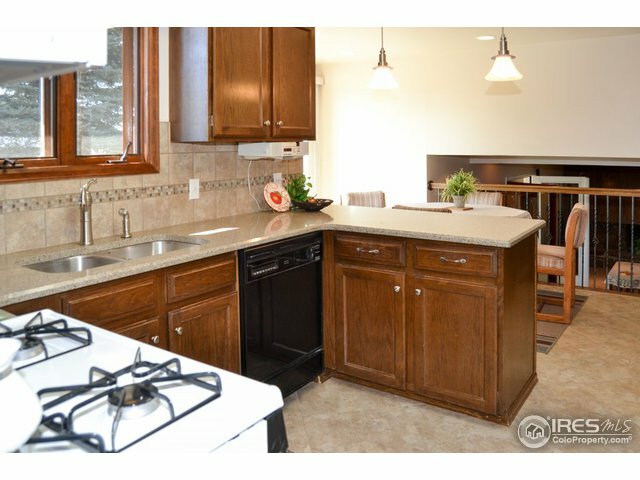 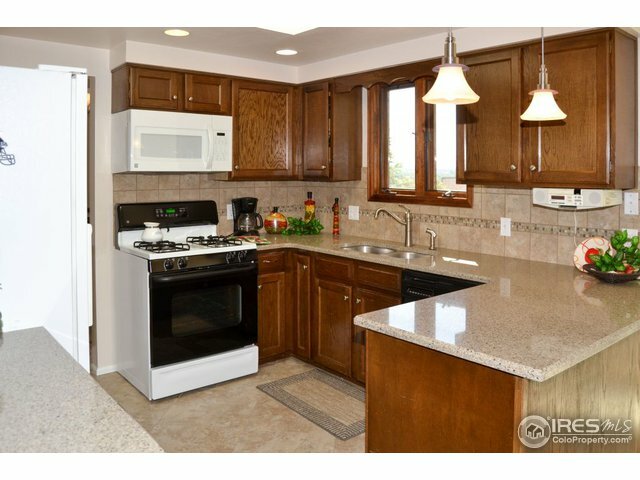 Updated Eat-in kitchen w/quartz counters, Gas range, Pantry & VIEWS! 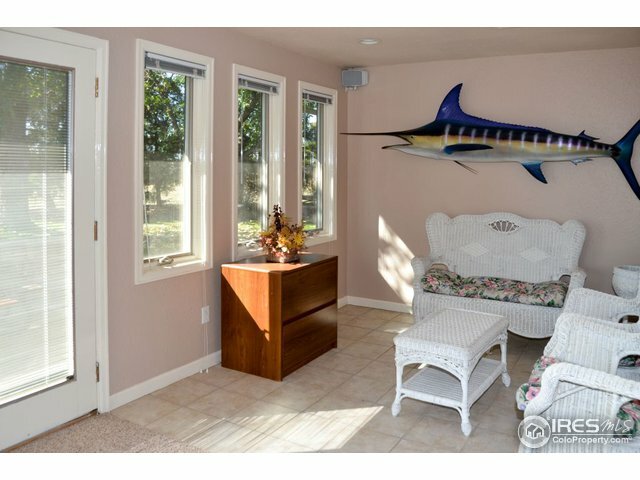 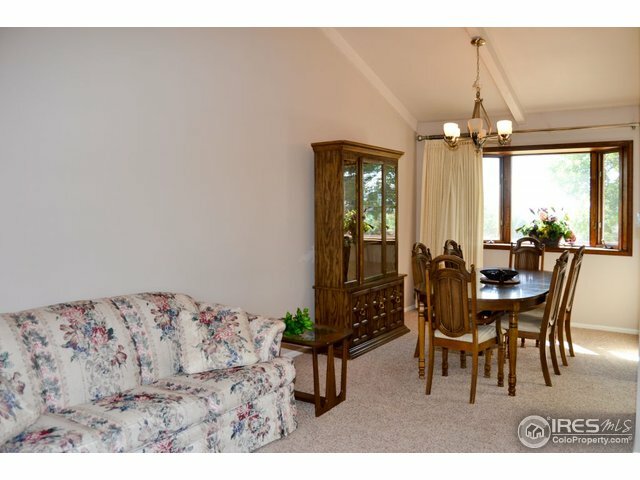 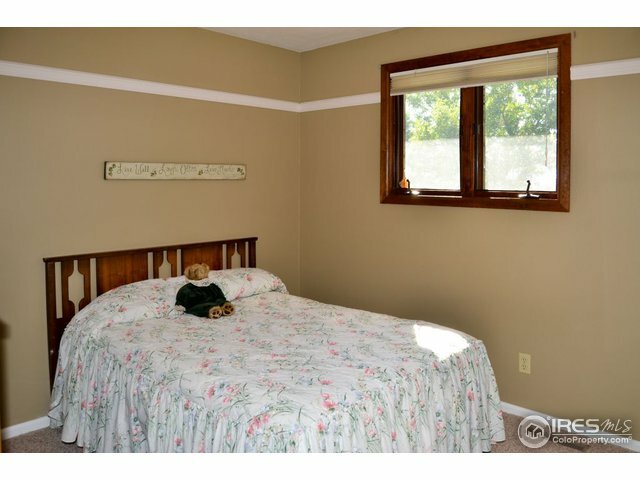 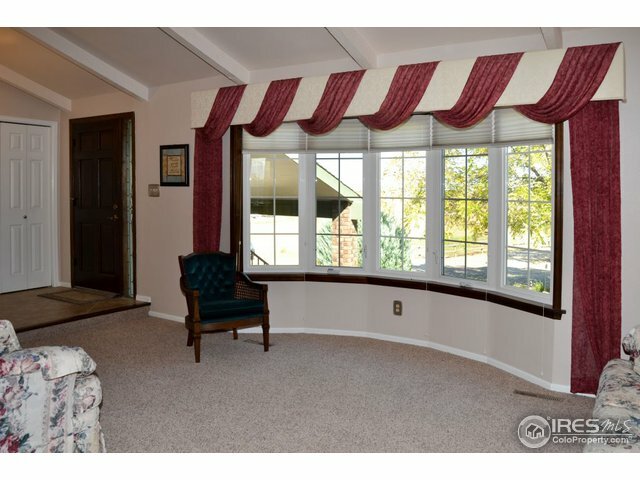 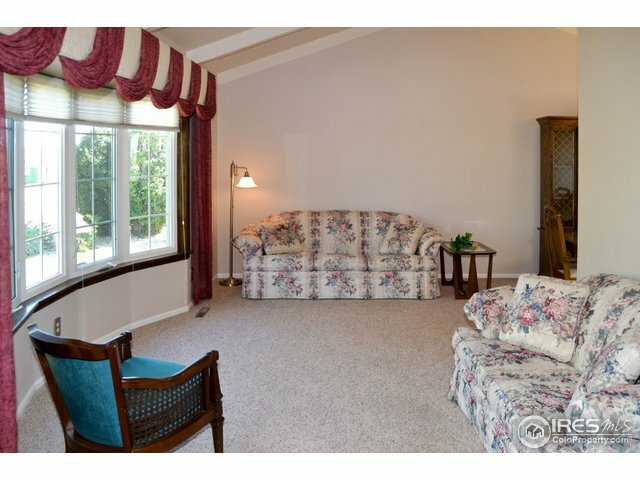 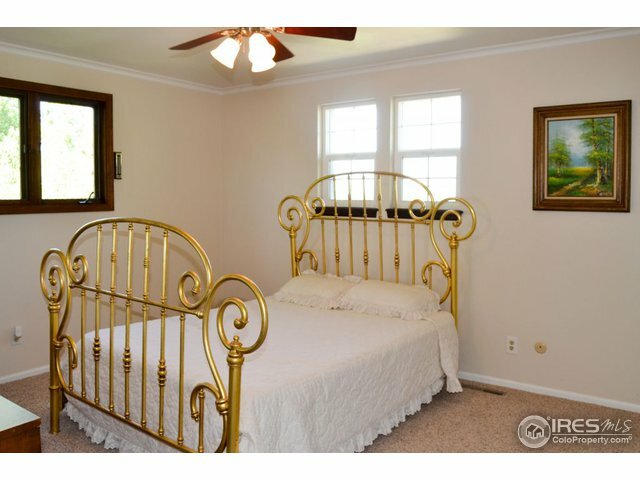 Living Rm w/Bay window-- Plains VIEWS! 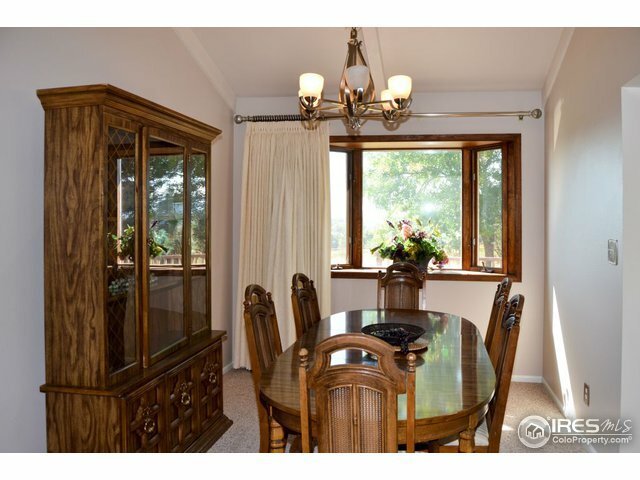 Dining Rm w/Mtn VIEWS! 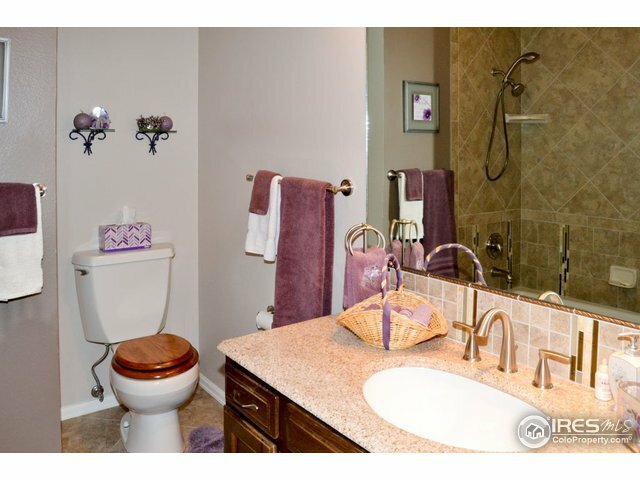 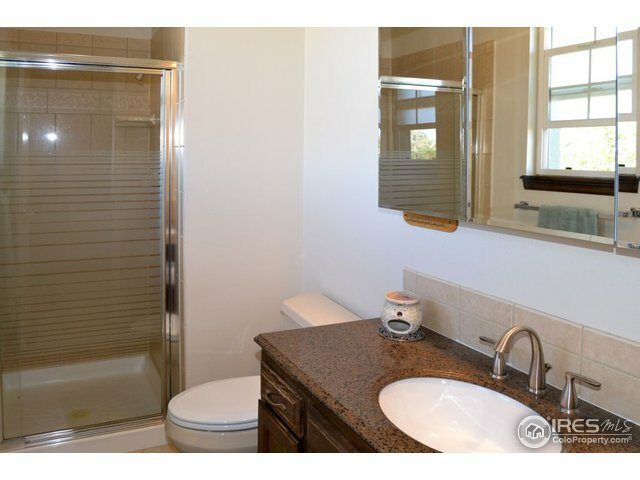 Tile floors in entries, baths, kitchen. 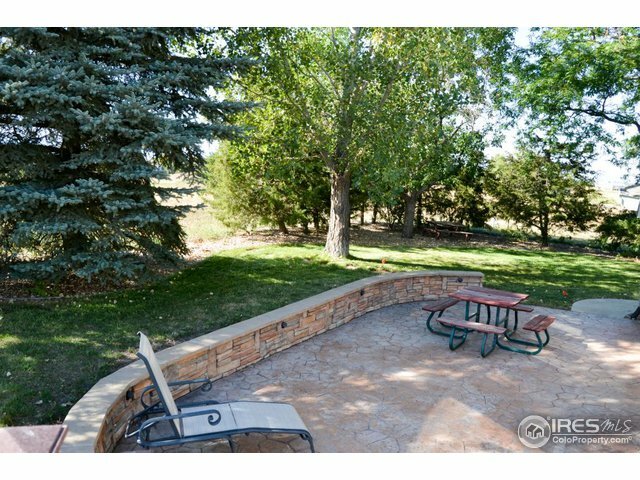 Lovely Stamped concrete patios. 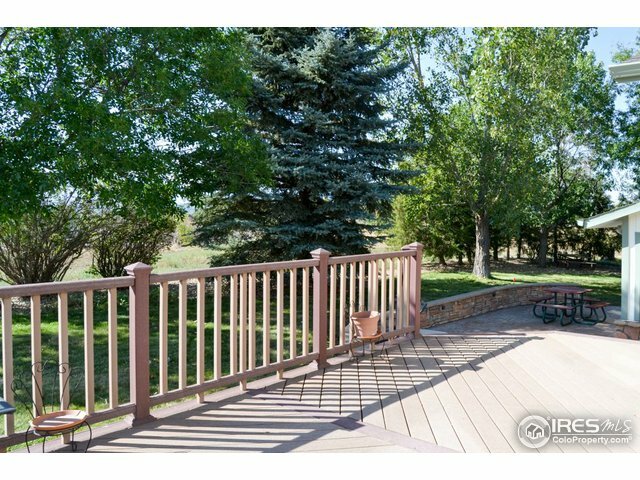 large deck too!--great for entertaining! 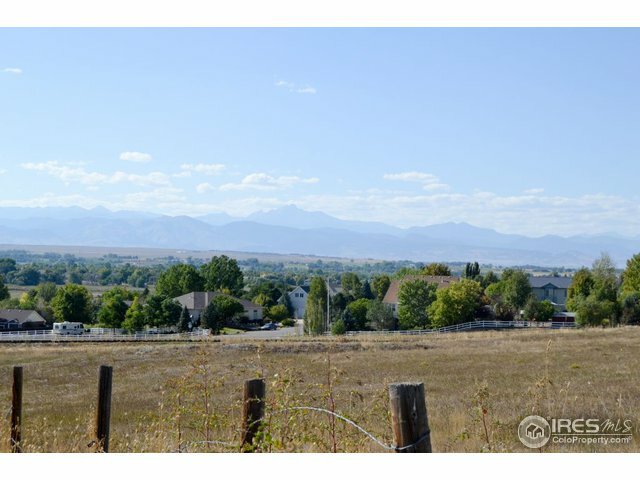 VIEWS of the Flatirons, Foothills Back Range! 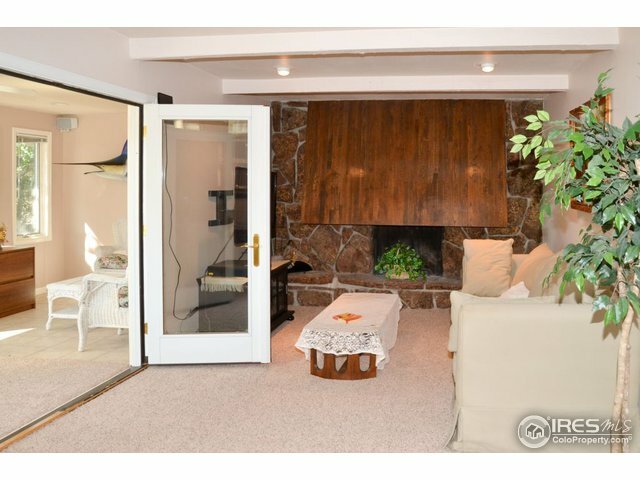 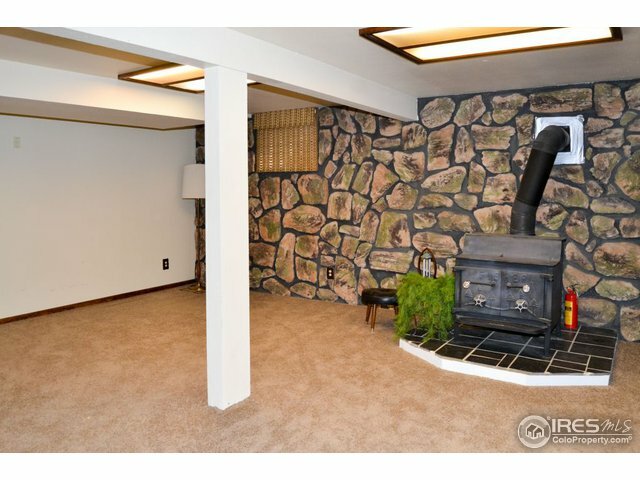 Fam rm w/Custom rock fireplace opens to 10x20 Sunroom & patio. 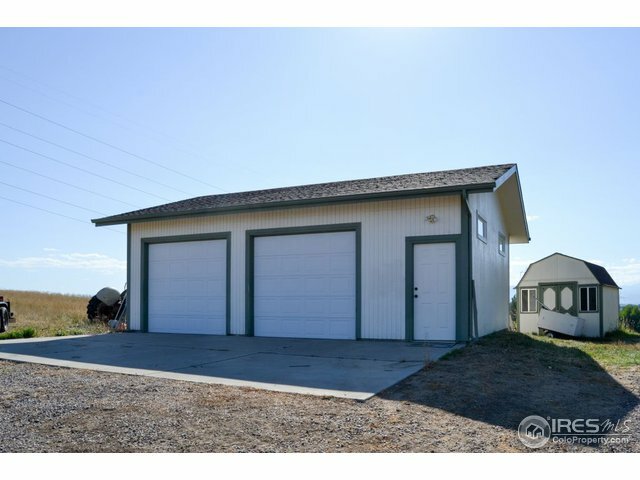 2 car O/S attached garage. 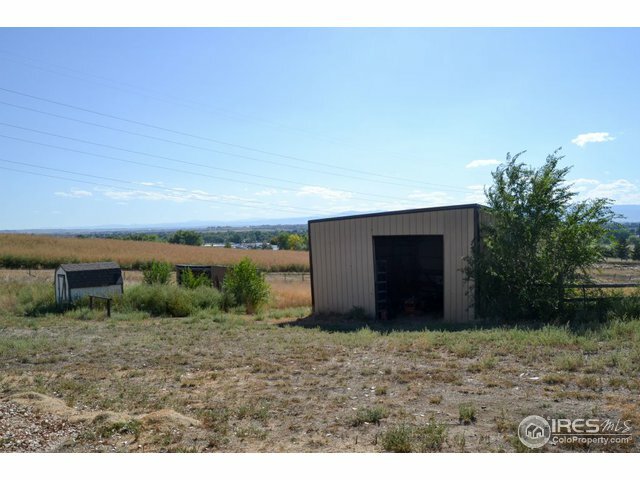 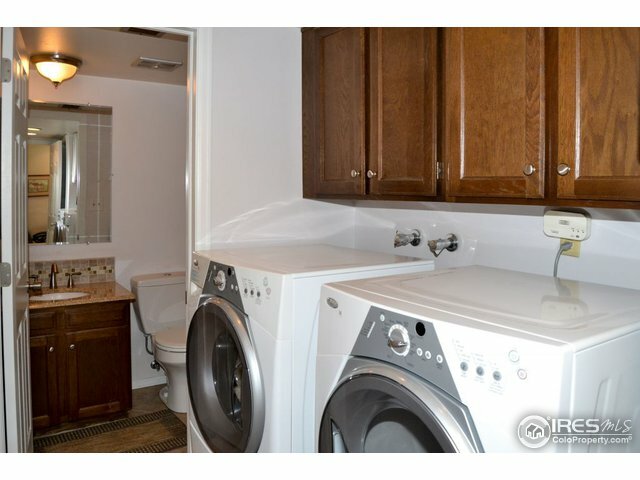 2.5 car detached garage. 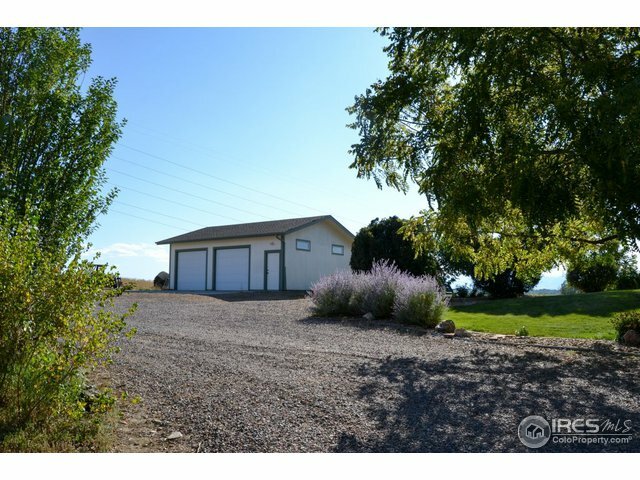 Hay Barn.